The Willow Grand Wedding Band is a larger version of the Willow Wedding Band. This stunning band is accented with 0.48ctw natural recycled diamonds held by a shared prong style of setting. The Willow Wedding Band is a smaller version of the Willow Grand. 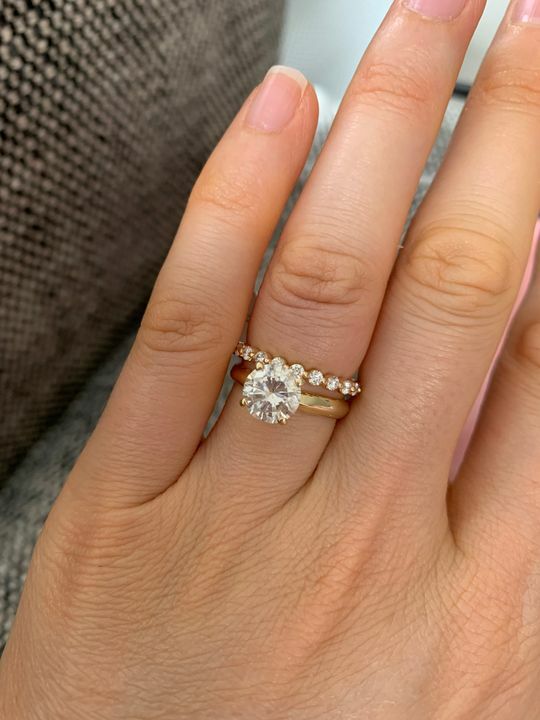 Please note: the side stones use a very delicate single bar style of setting - this ring will need to be treated with more care than a ring with a multiple prong setting. Side Stone Carat Weight: 0.48ctw. Ring is stunning and staff were so helpful!